SXnavo allows our customers to obtain their revenue in a quick, efficient and secure way, with full financial transparency. With the Intelligent Payment Solution providing a low cost of processing transactions while still providing a highly secure and auditable business system, financial controllers will have peace of mind regarding the integrity of their financial data. 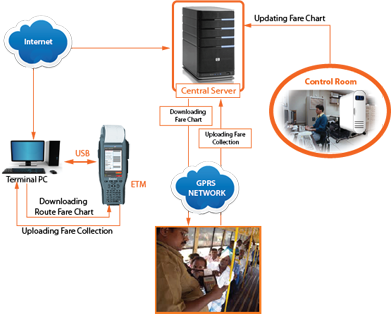 Bus, heavy rail, metro, light rail and ferry solutions for devices and management.